God is Creator. This is affirmed throughout Scripture. What He has made He has also sustained and continues to sustain. 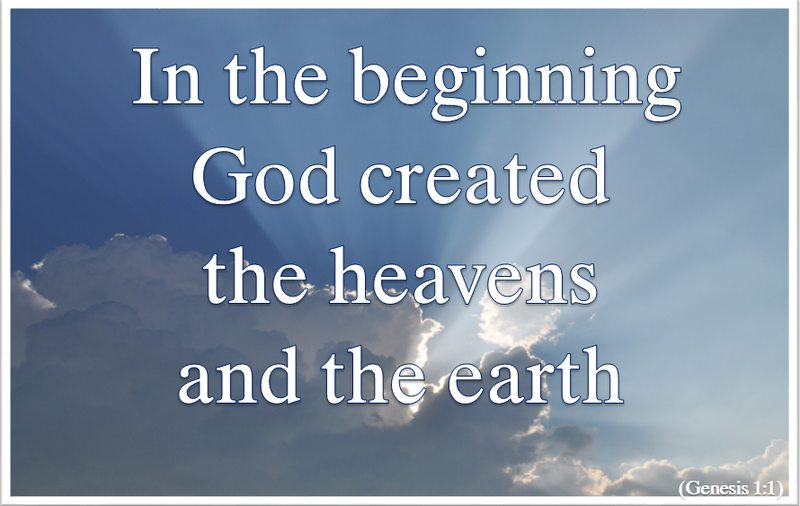 Where Science seeks to discover how things were made the Scriptures very simply and clearly focus on Who made them. They do not delve into process but confine themselves to simple Truth. And yet, just as any work of art reveals something of the artist, there is within creation a revelation of the power and glory and majesty of the Creator. One day I stood and looked in awed appreciation at the sun sparkling on the deep blue swell of the surging sea, and I said quietly, “0 God, but that’s beautiful!” And deep within me a voice responded, “I like it too.” And it was very good. Look and Listen – sense the life and beauty all around. Lord God, how You must have enjoyed creating the seen and the unseen – everything in its vast array. Help me to pause and see, hear and feel, and marvel that I too am a precious part of it. Amen.